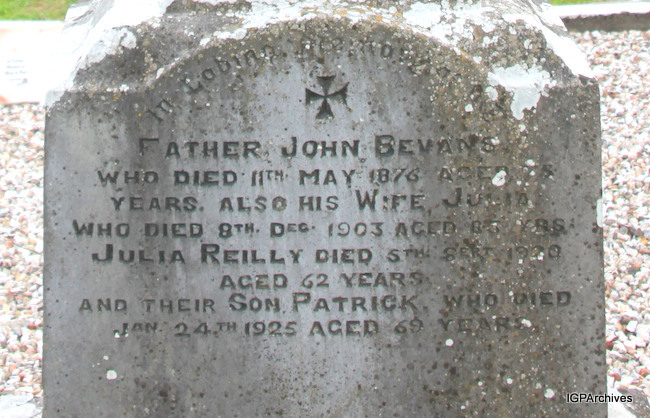 cavan-ballynarry -- Father John Bevans | Who Died 11th May 1876 Aged 75 (?) | Years. Also His Wife Julia | Who died 8th Dec 1903 Aged 85 Yrs | Julia Reilly Died 5th Sept 1920 | Aged 62 Years | And Their Son Patrick, who died | Jan 24th 1925 Aged 69 Years.